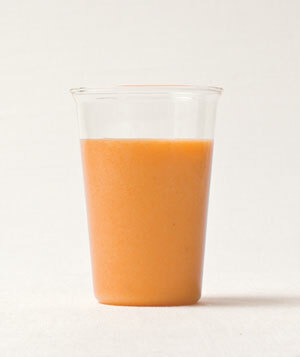 I, along with the rest of the world it seems, love smoothies. They are a delicious way to get your fruits + veggies and fast. They are especially good for getting your kids to consume their fruits + veggies. However, my little guy won't drink smoothies. It's like he doesn't trust it. BUT, if I make the smoothie and turn it into a popsicle, watch out! 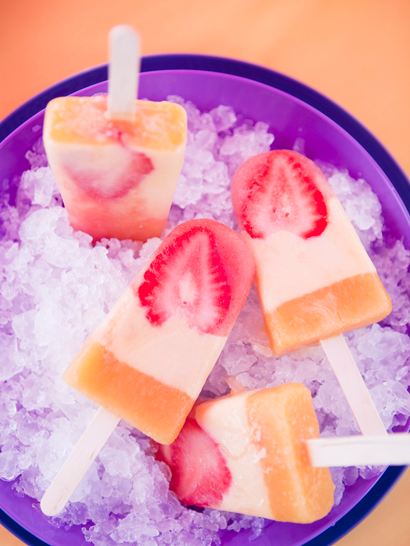 He loves his popsicles and they make a great summer treat on a hot day. All you need is a great smoothie recipe, some popsicle molds and a freezer and you've got yourself some healthy and yummy treats!